Labelling herself as the future of the game, Aryna Sabalenka's rise was remarkable as she booked herself a spot at the WTA Elite Trophy. 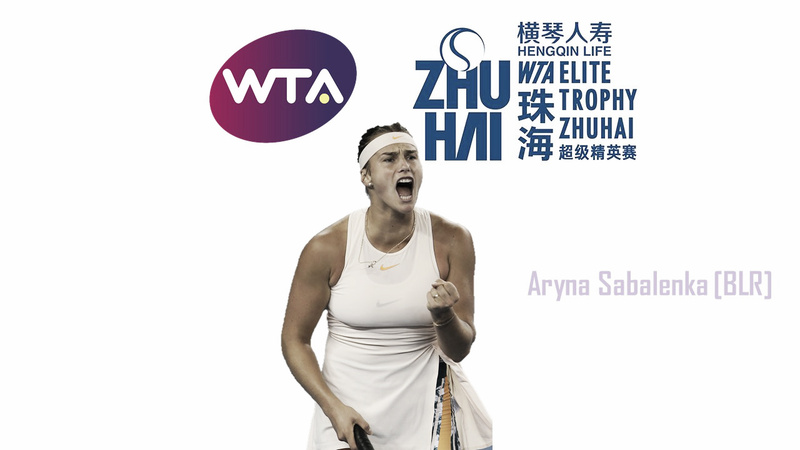 It was yet another career breakthrough year for Aryna Sabalenka whose achievements managed to propel her into the world’s top-15 and edged closer than ever to a top-10 debut towards the closing stages of the year. Her impressive results also secured her a spot at the WTA Elite Trophy where she is the third seed. Ranked 96th in the world on 20th November last year, she has a chance to end the year ranked 10th if she were to reach the semifinals. Drawn into the same group as Ashleigh Barty and Caroline Garcia, the fans would have some interesting match-ups to look forward to. Sabalenka is unbeaten against the Frenchwoman while defeating the Australian in their last match in Wuhan. She opens singles action on the opening day of the tournament against Barty. Sabalenka’s first WTA final of the year came at the Samsung Open, where she steered past a series of tricky opponents which included Mihaela Buzarnescu and Camila Giorgi but fell to Elise Mertens in the championship match. The tournament where she was finally exposed to the limelight was the Nature Valley International — Sabalenka defeated Elise Mertens, Julia Goerges, Karolina Pliskova, and Agnieszka Radwanska consecutively to reach her second WTA final of the year. This run paved the way for the Belarusian to reach a new career-high ranking of 32. A terrific US Open Series saw Sabalenka claim an extremely good win over second-ranked Caroline Wozniacki in Montreal having saved a couple of match points, before going all the way to the semifinals at the Western and Southern Open. Her run was extraordinary, having defeated former top-10 stars Johanna Konta and Madison Keys alongside then-current top-10 stars Karolina Pliskova and Caroline Garcia in the process. After waiting for ages, Sabalenka finally lifted her maiden title at the Connecticut Open with an outstanding run with wins over quality opponents. As a result, she made her debut in the world’s top-20. A dark horse at the US Open, Sabalenka stormed past fifth seed Petra Kvitova in the third round before narrowly falling to eventual champion Naomi Osaka. She was the only player who grabbed a set off the Japanese en route her title run. She then steamrolled her way to the title at the Wuhan Open having upset sixth seed Elina Svitolina in the process. 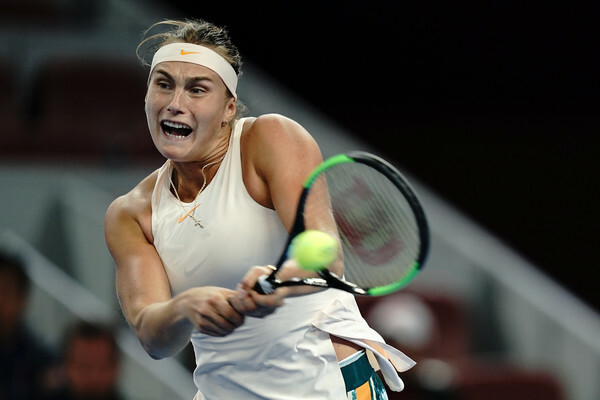 Sabalenka was tipped to qualify for the WTA Finals and her dreams became probable after defeating both Garbine Muguruza and Caroline Garcia at the China Open. Her run came to an abrupt stop in the hands of the red-hot Wang Qiang, effectively ending her Singapore dreams. She finished the year with a quarterfinal at the Tianjin Open although she will look to end off 2018 with a title in Zhuhai.